Maumee, Ohio, Dec. 18, 2014 – Dana Holding Corporation (NYSE: DAN) has introduced two new Spicer® high-performance third member drop out axle housings for Ford 9-inch applications. 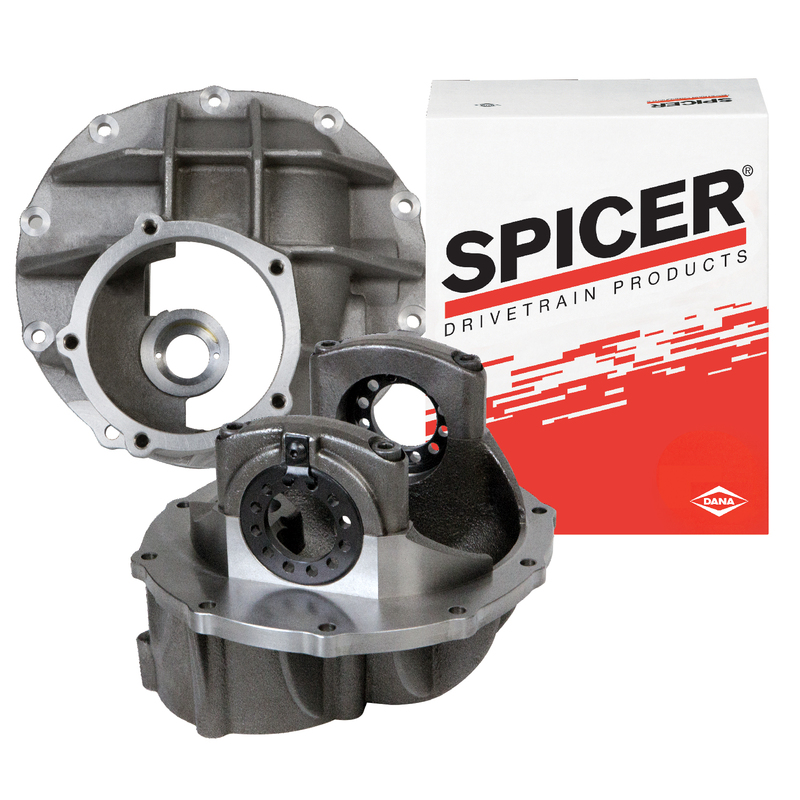 The new Spicer third members are available in either nodular iron, delivering the strength and durability required for off-road conditions, or premium-grade aluminum, for weight savings in circle track, street rod, and other racing applications. Both new Spicer® third members come with a built-in fill plug for easy maintenance, and billet adjuster nuts for increased durability and strength. They also come standard with an anti-stick, reusable gasket that is Teflon-coated for clean release and a woven steel core for durability. The new Spicer® third members are available with either a carrier bearing bore of 3.250 inches for 35/40 splines, or a bore of 3.062 inches for 28/31 splines. More information on the Spicer® performance third members for Ford 9-inch applications is available at: www.DanaUnleashed.com, or by calling Dana Customer Service at 1-800-621-8084. Dana is a global leader in the supply of highly engineered driveline, sealing, and thermal-management technologies that improve the efficiency and performance of vehicles with both conventional and alternative-energy powertrains. Serving three primary markets – passenger vehicle, commercial truck, and off-highway equipment – Dana provides the world’s original-equipment manufacturers and the aftermarket with local product and service support through a network of nearly 100 engineering, manufacturing, and distribution facilities. Founded in 1904 and based in Maumee, Ohio, the company employs 23,000 people in 26 countries on six continents. In 2013, Dana generated sales of $6.8 billion. Forbes magazine selected Dana as one of America’s 100 Most Trustworthy Companies in 2014 For more information, please visit dana.com.